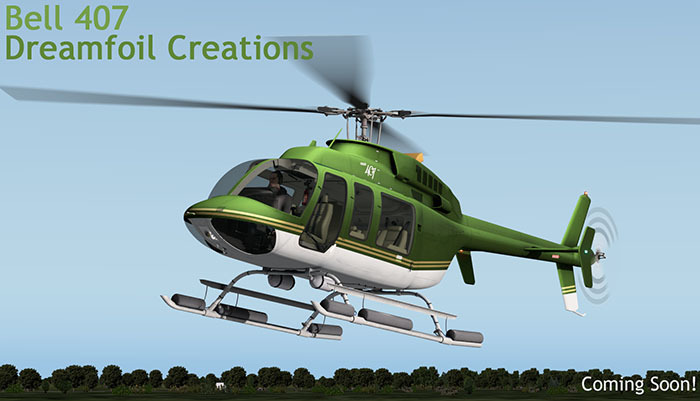 Conex of Dreamfoil Creations has announced the close release of the Bell 407 (before Easter?). 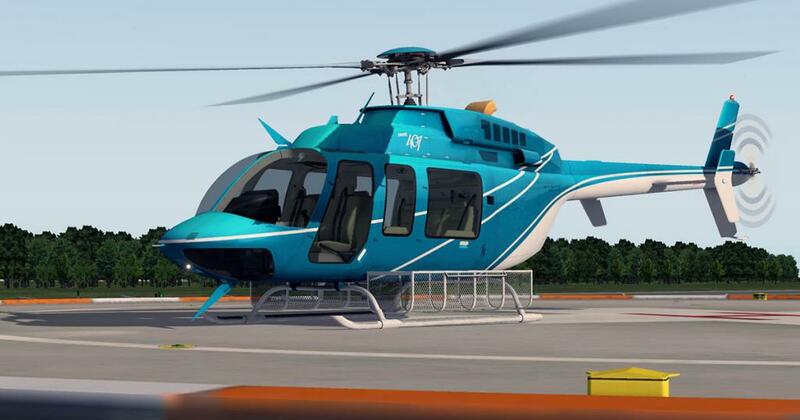 The Bell 407 is a four-blade, single-engine, civil utility helicopter; a derivative of the Bell 206L-4 LongRanger. - Cabin, Cockpit and Instruments lights available with great effects. - Battery + Starter simulation, don't allow your battery voltage to get too low otherwise you'll have problems during the start! 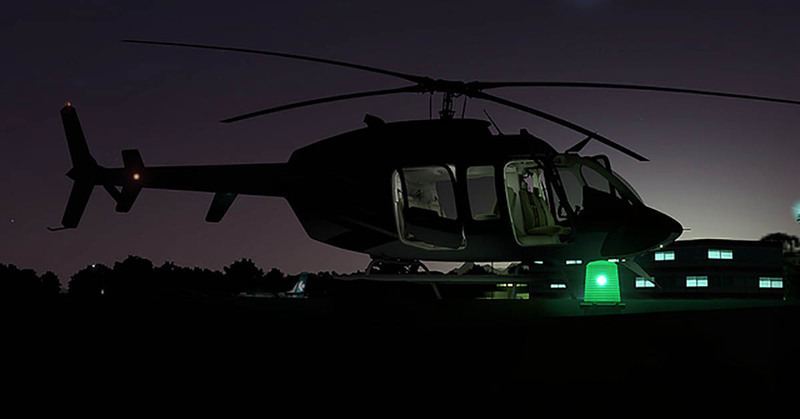 - Functional Floats can be deployed during flight for emergency landings or practicing over the water. - Pedal stop simulation, the equipment that reduces left pedal authority above 50kts, don't fly without it and push all left pedal, or you'll have troubles! - Transmission limit simulation, don't push it too far or you can break the transmission. need of keep fighting with controls all the flight, while keeping the hover challenge intact. - Clickable external areas for increased interactivity. 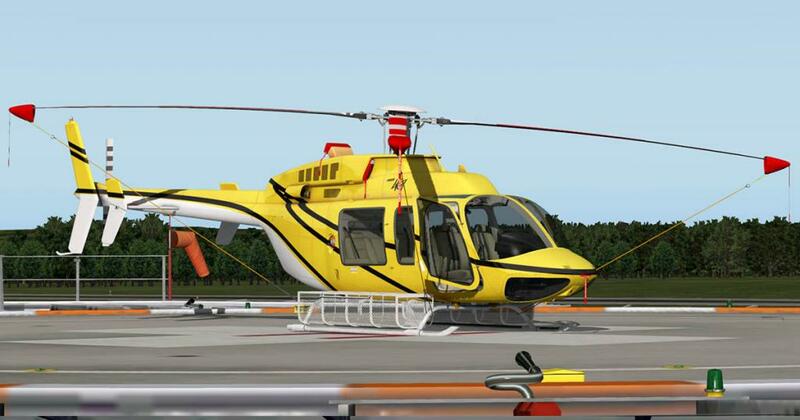 - A customization menu allow to set few equipments like (Baskets, Floats, Wire Cutters, Glass Doors) all in real-time with no need to restart the sim, each livery can be fully customized and will be unique. 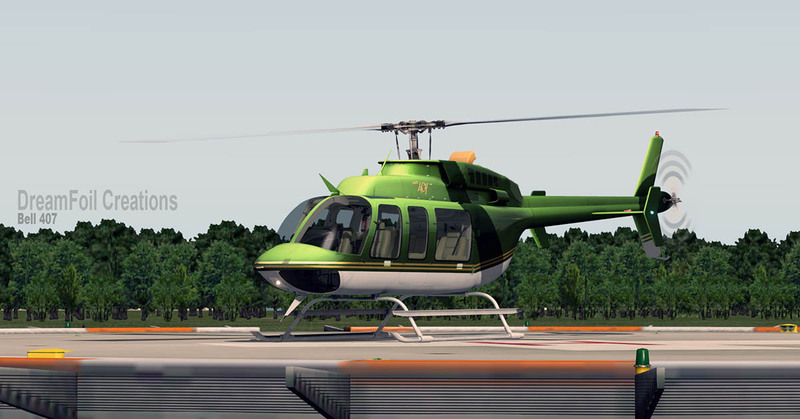 I have waited for the Bell 407 for a long time! The video looks nothing short of stellar! I can't wait until the release date.